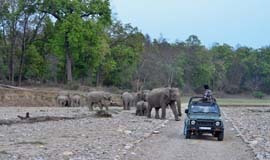 The park has been created in 1983 by amalgamation of three sanctuaries- Rajaji sanctuary(estd. 1948) Motichur sanctuary (estd. 1964) and Chilla sanctuary(estd. 1977) after the name of renowned statesman and freedom fighter Sri C. Rajgopalachariya - The first and last Governor General of independent India popularly known as "Rajaji". The park is spread over an area of 820.42 sq. km. in three Districts- Dehradun, Haridwar & Pauri Garhwal of Uttaranchal State, India. There is 34 K.M. 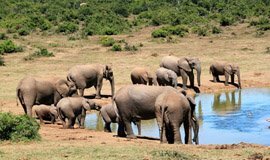 Nature Safari Trail and drive passing through undulating forest track, hilly terrain, lush green valleys, river beds, dense forests, sprawling grasslands and many never before seen greenery and vegetation. 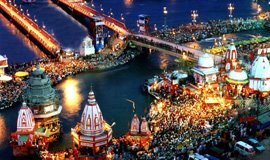 r.
One of the most revered places in Haridwar, Har ki Pauri literally means the Lord�s Footsteps. The most famous land mark at the Ghats is the footprint of Lord Vishnu himself. The foot print is said to be at the precise location where the River Ganges enters plains from the mountains. The area is famous for being the location of the Kumbha Mela and the Ardha Kumbha Mela. Popularly known as the Rajaji Wildlife Sanctuary, Chilla Wildlife Reserve is located at a distance of just 18kms from Haridwar. This wildlife reserve in Uttarakhand is home to many wildlife species like Elephants, Tigers, Bears and Small cats. It is enriched with a variety of flora that results in making this 249 sq km wildlife sanctuary quite scenic. 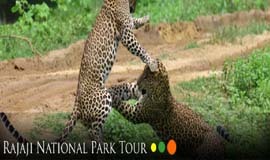 This wildlife sanctuary surely proffers an exhilarating and memorable experience for both nature and wildlife lovers. 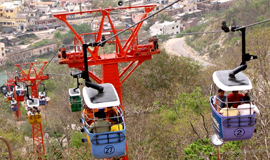 Udan Khatola refers to the unforgettable ropeway experience that can take you to the famous temples of Chandi Devi and Mansa Devi. With both the temples located uphill, a sizeable number of people prefer to take the ropeway rather than trekking up to the hill. 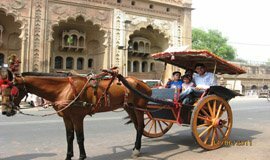 The ride to both the temples is nothing less than fascinating with the coloured ropeway cars going up and down on the cables, giving you a bird's eye view of the whole town and the Ganga, which meanders across the plains. A maximum of four people are allowed in one cable car, with adequate arrangements for safety. 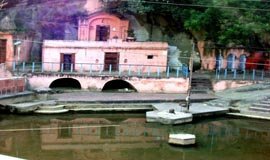 Having historical importance, the Bhimgoda Kund/Tank is situated about 1km from Har ki Pauri. Legend have it that while proceeding to the Himalaya, the Pandavas stopped by to drink water here in Haridwar, and Bhimgoda is the place where Bhima drew water from the rocks by thrusting his knee (Goda). 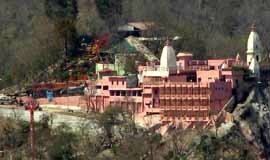 It is a major attraction in Haridwar and is visited by many people all through the year.